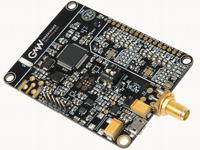 GreenWake Technologies offers fully operational devices for wireless, battery-free sensor operations. Our off-the-shelf product range is ready for deployment and currently includes PWT-04 power transmitters, DTR-868 data transceivers and AST autonomous sensor tags. It covers a wide spectrum of industrial applications. The DTR-868 data transceiver enables bi-directional data communication with AST sensor tags as well as one or more DTR-868 transceivers using an 868 MHz carrier wave. 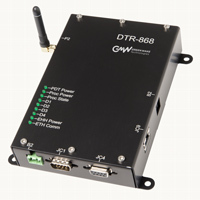 The DTR-868 transceiver comes with embedded web server and control software permitting identification of sensors, setting-up interrogation modes and sending commands to the sensors. 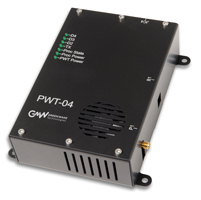 The PWT-04 microwave transmitter wirelessly powers one or more remote devices, such as the AST sensor tags, using a continuous wave in the 2.45 GHz frequency band. The output power is adjustable, from 0.5 to 4 W, using the control software. The AST family of sensor tags allows wireless measurements to be taken by sensors from remote locations. Sensors are powered by microwave energy, harvested from a dedicated RF power source and need no batteries or other consumables. The AST-02-GEN sensor tag could be used to interface various custom industrial analogue and digital micro-sensors. It offers up 0-5V regulated voltage and 2x analog, 1x SPI and 1x I2C inputs. The AST-02-MS sensor tag features built-in MEMS sensors for humidity, temperature, pressure, acceleration, inclination, light presence and magnetic field strength. It covers a wide spectrum of industrial applications. The AST-02-STR sensor tag is designed for use with quarter-, half- and full- bridge strain gauge sensors. The device offers offset compensation, gain control and calibration.